Visit the House of Happy Walls Museum at Jack London State Historic Park in Glen Ellen. History comes alive in Sonoma County, from the birth of California’s modern wine industry, to the birth of California itself as part of the United States. This rich heritage is offered to travelers and history buffs through state historic parks. In the 1830s-1840s, this park’s adobe compound was known as Rancho Petaluma. The largest privately-owned adobe building in the state (and now a National Historic Landmark), the Rancho served as headquarters for a profitable working ranch ruled by the region’s most important early historic figure, Gen. Mariano Vallejo. You’ll see farm animals, fences made the Old West way (from cactus), and authentic period furniture. There are lots of fun historic touches, too, such as cattle hides drying on racks, lariats curled beside a powder horn, and rope-soled shoes resting atop a sheepskin. On a Living History Day, docents in period dress accomplish chores in the old ways. The park is beautifully situated amidst quiet farmland and oak-studded hills, and the shaded picnic areas practically beg you to bring a picnic and enjoy the view. Glen Ellen was home to writer/adventurer Jack London from 1905 until his untimely death in 1916, at the age of 40. Today, London’s Beauty Ranch is part of Jack London State Historic Park. Home to lush forests, redwood groves, meadows, and hills that afford breathtaking views, it is beautiful indeed. And it’s filled with things to do. You can hike miles of trails, ranging from flat and easy to steep and strenuous; tour the simple cottage where Jack and Charmian lived; pay respects at the Londons’ grave site; walk through the gorgeous ruins of an old stone winery; and marvel over the “Pig Palace” — an innovative piggery designed by London himself and built in 1915. Most people are fascinated by the ruins of London’s planned 15,000-square-foot mansion (see photo), which burned to the ground in August 1913, a month before completion. And your visit won’t be complete without a browse through the House of Happy Walls Museum, where you’ll be amazed by just how much London accomplished in his short but adventurous life. And all year long there are lectures about London, piano recitals on Charmian’s Steinway piano, docent tours, docent-led hikes, and much more. Download the park’s brochure. Enjoy glimpses into California’s unique Russian and Native American influences at Fort Ross, beautifully situated on Sonoma County’s far northern coast. 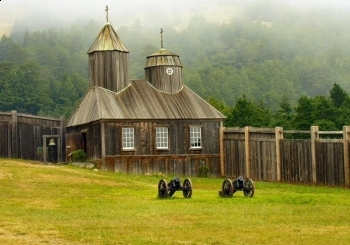 From 1812 to 1841, Fort Ross was the hub of the southernmost Russian settlements along the West Coast of North America, a commercial hunting and trading operation chartered by the tsarist government. Faithfully reconstructed buildings recall the once-thriving colony, including the stockade, a Russian chapel, a barracks, two blockhouses, and a windmill. The only surviving original structure, Rotchev House, was renovated in 1836 for the last manager of Fort Ross, Alexander Rotchev. The park museum offers details about the site’s three main eras (Kashaya Indian, Russian, and Spanish rancho). Today, Fort Ross is a California Historical Landmark, a National Historic Landmark, and on the National Register of Historic Places. California’s founding — the famed Bear Flag Revolution — took place on and around the historic plaza in the city of Sonoma. And that’s where you’ll find most of this park’s buildings, which played a major role in the state’s pre-history or early history. Unlike most parks with geographical boundaries, Sonoma State Historic Park is a series of historic attractions in several locations within the community. 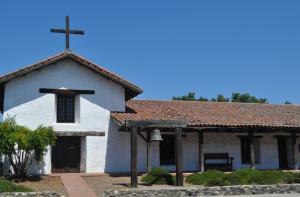 Among them are the last mission ever built (Mission San Francisco Solano, 1823); the two-story adobe barracks that once housed the Mexican army troops commanded by Gen. Mariano Vallejo (many historical artifacts are on display here); the Toscano Hotel, a 19th century wood-frame building furnished to look much as it did when it was a hotel in the early 1900s (a separate building contains the fascinating 1900s hotel kitchen); and the Blue Wing Inn (the first hotel north of San Francisco, dating from the 1840s). A short walk from the plaza — and part of the park — is Gen. Vallejo’s 1850s Gothic-style home, outbuildings and grounds, Lachryma Montis. Today the plaza’s ancient buildings hold art galleries, clothing boutiques, wine tasting rooms and restaurants. Download the park’s brochure. Beyond the California State Parks system, enjoy learning more about Sonoma County’s rich past. 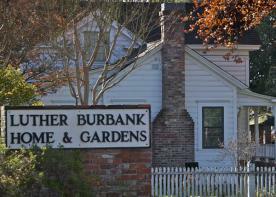 Visit the home and gardens of famed horticulturist Luther Burbank in Santa Rosa, as well as his experiment farm in Sebastopol. The Pacific Coast Air Museum displays historic aircraft, while it preserves aviation history. And it puts on one of the finest air shows in Northern California, on the third weekend in August each year, the famous Wings Over Wine Country Air Show. Discover the richness of the universe at the Robert Ferguson Observatory, located within Sugarloaf Ridge State Park. Stroll along the PlanetWalk, a walkable (4.5 miles) scale model of the solar system. The observatory also holds public viewing days.